NTSC format only (PAL coming soon). 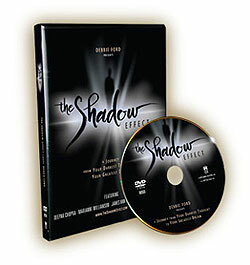 "The Shadow Effect is an emotionally-gripping, visually-compelling docudrama that reveals the hidden forces that continually unseat politicians, destroy celebrity careers, destabilize the economy and affect the lives of millions each year." Please Note: The Federal Copyright Act (Title 17 of the United States Code) governs how copyrighted materials, such as movies, maybe used. Since it is our intention to protect our viewers as well as ourselves and act in accordance with these laws please be advised that showing The Shadow Effect to a group of people whether for free or for charge is in violation of The Federal Copyright Act unless you purchase a public viewing license. For more information on how to sign up to screen The Shadow Effect please click here.